Job well done on my basic oil change!! Leaking stopped ??? 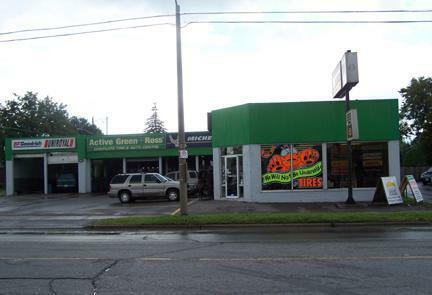 I have been going to Active Green and Ross for more then 20 years. I have always received exceptional service from Ross and his staff. Staff are good at what they do. Fast, efficient and they offer a decent price. All good. Ross and his team are friendly, courteous and very knowledgeable and I would recommend anyone to check them out. Keep up the good work guys and thanks again. I have been going to AG&R for many years now. Ross and team have always provided great service/repairs at a fair price. They take the time to explain fully and answer any questions. I wouldnât go anywhere else. Ross and his team go above and beyond. I have always had fantastic service and will definitely return for any car care needs. great service as always from Ross and the team! Thanks. Ross and his crew are always fantastic and ALWAYS look after me, whatever my auto needs are. We bring both of our vehicles to this location and have ALWAYS been pleased! Ross is always so friendly and the staff seems happy and outgoing. It's a pleasant visit!